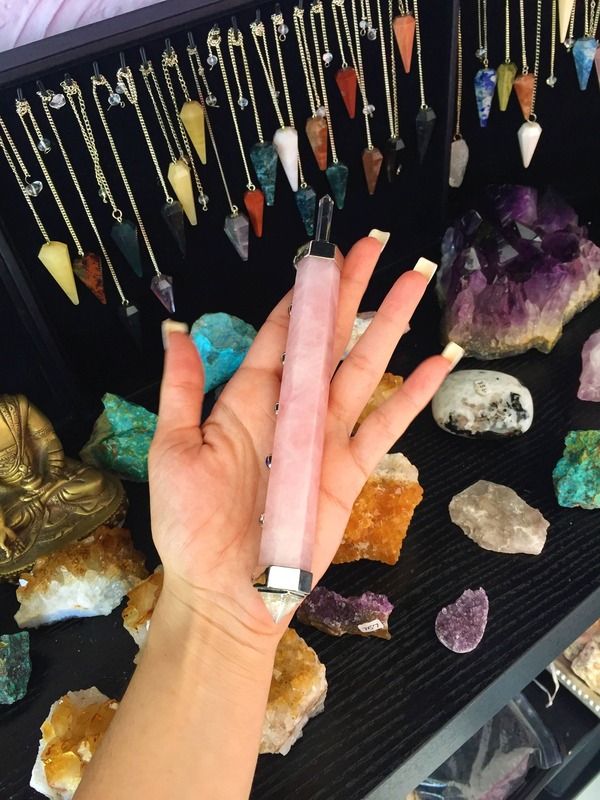 Receive this beautiful handmade Rose Quartz Chakra Healing Crystal Wand. 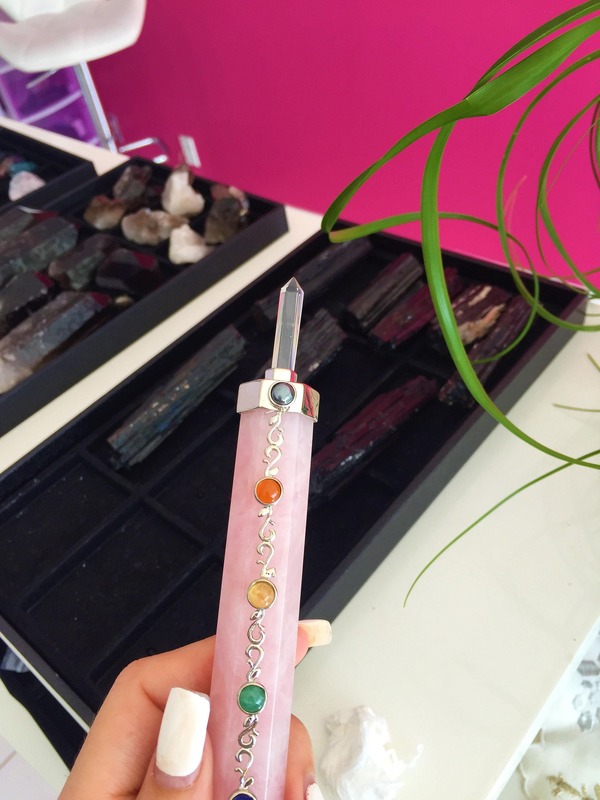 This wand has lovely chakra stone cabochons mounted down the front of the wand. 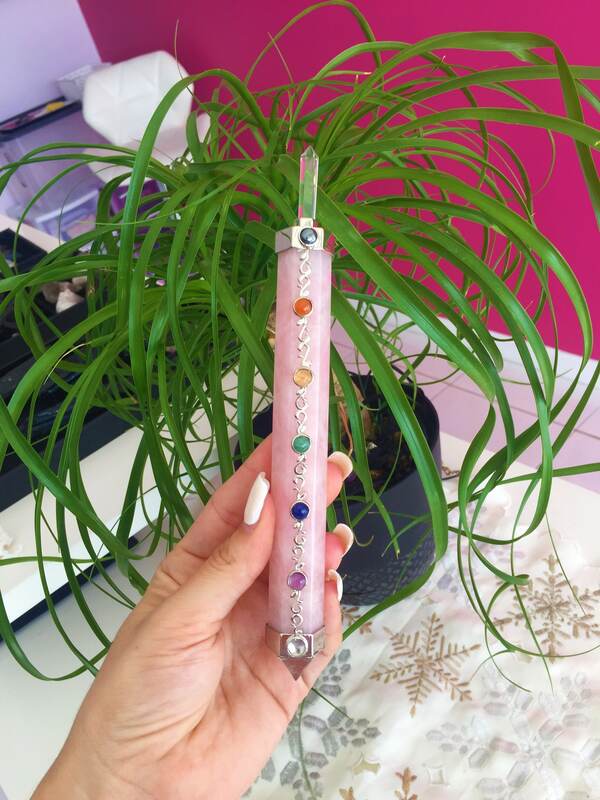 There is a 6 sided crystal quartz point at one end and a crystal quartz concentrator orb at the other end. 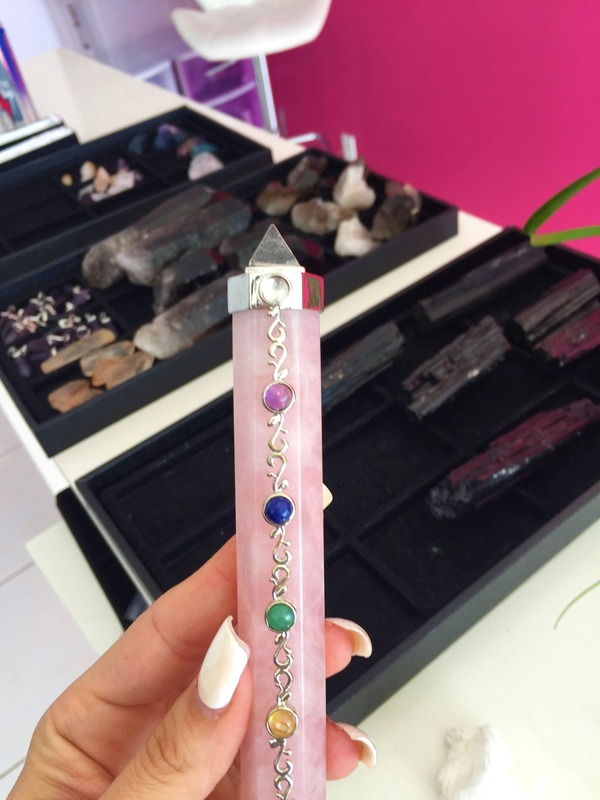 SIZE- 8 inches from the top of the crystal sphere to the bottom of the crystal faceted point. 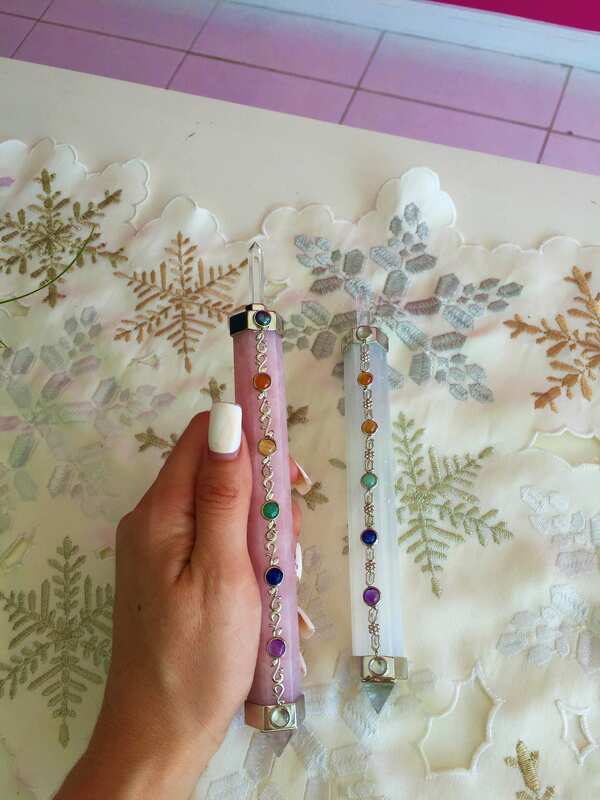 *Comes in a cushioned black gift box. 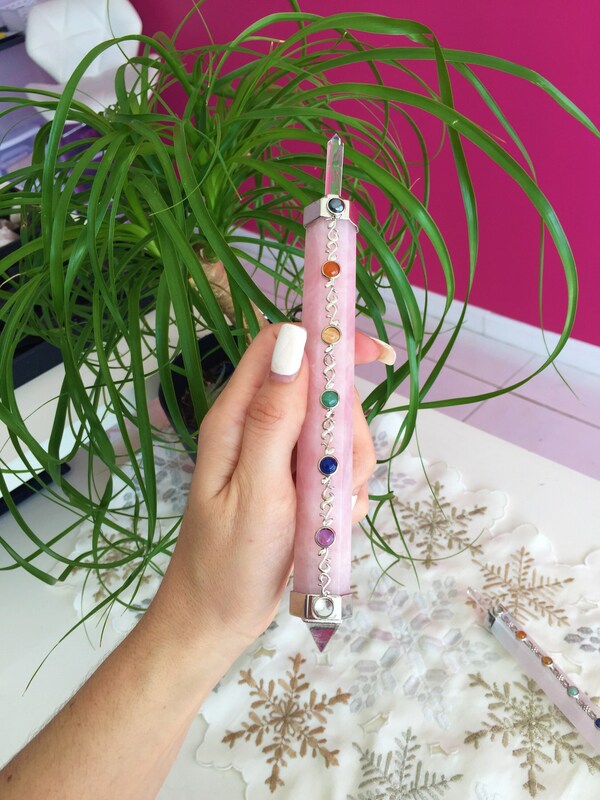 ♥ Since ancient times, crystal wands have been traditionally been used as a healing tools by shamans, healers and metaphysicians. 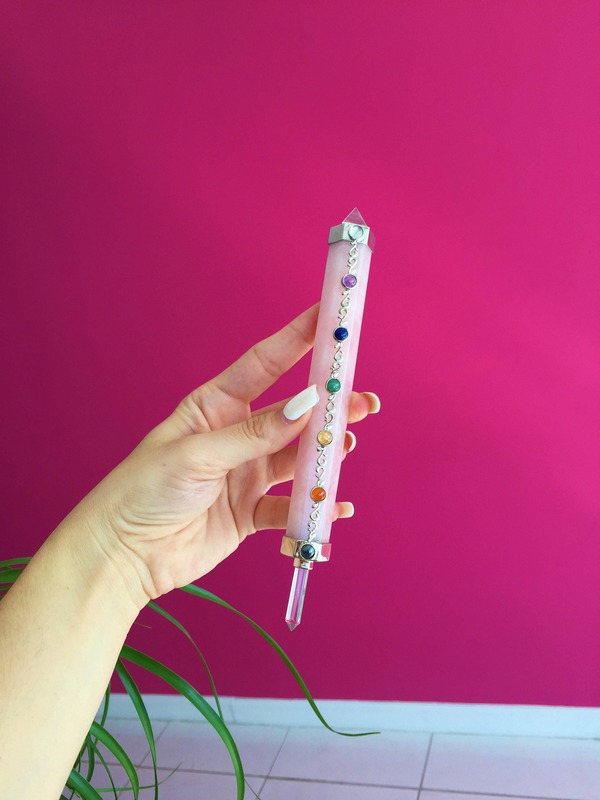 Some suggest that crystal wands were used by the inhabitants of the ancient civilization of Lemuria and by the healers of Atlantis. 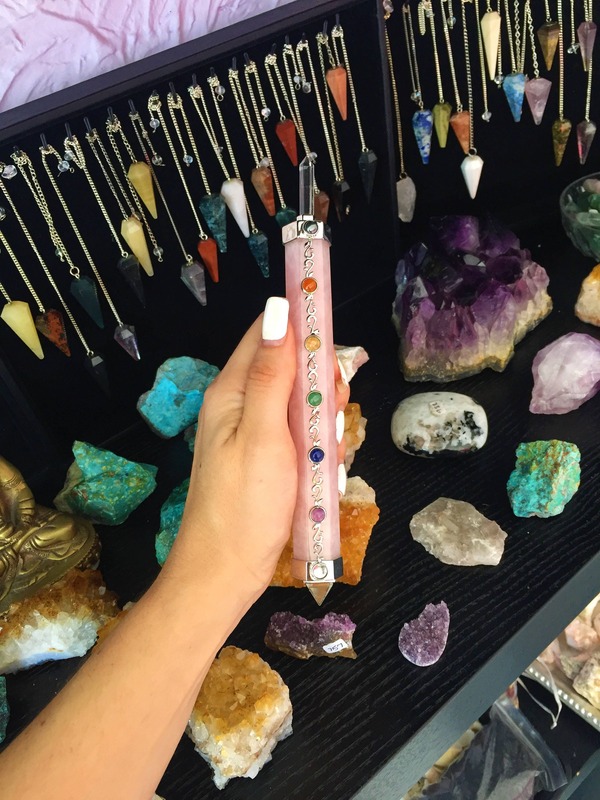 Crystal wands are excellent healing tools facilitating chakra balancing, emotional healing, and spiritual development. 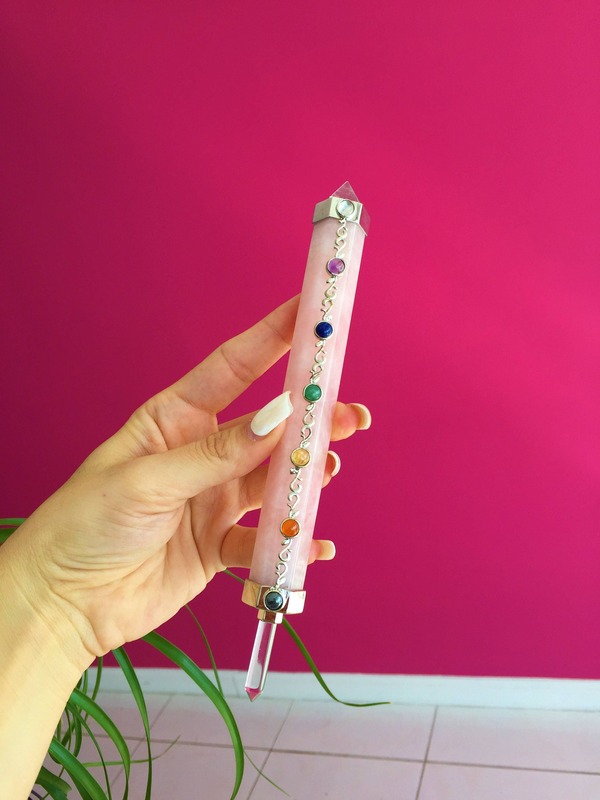 Wands are energetically cleansing, protective, and may stimulate and activate the human energy field. 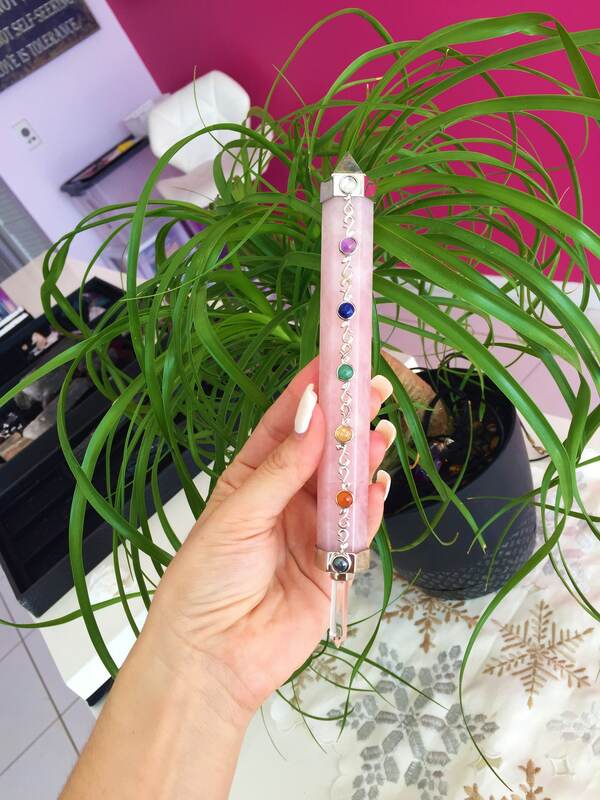 ♥ All wands have been cleansed with sage & charged with Reiki.